Who is shifting the balance in Pakistan? There are places in the world with bad reputation. And Pakistan is one of them. A country where more than 1,000 women’s and girls’ lives are taken each year from honour killings. Where social media star and controversial female celebrity Qandeel Baloch was strangled to death by her own brother only a few months ago. 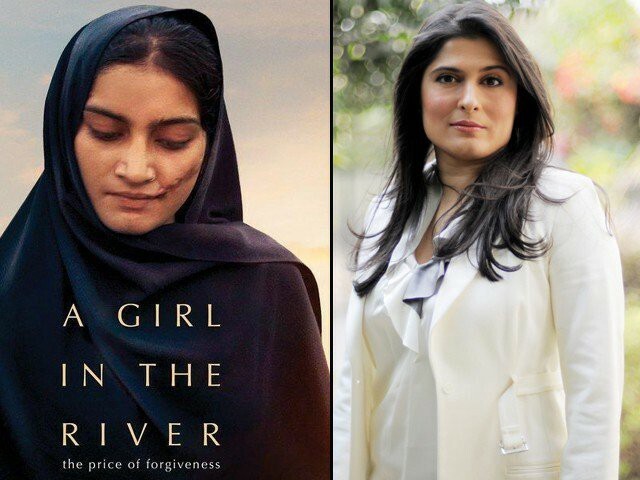 A country where director Sharmeen Obaid-Chinoy recently won the oscar with her documentary A girl in the river about the impunity for the relatives committing those murders. And in spite of this situation (or perhaps because of it), initiatives are blossoming in different parts of the country to shift the gender balance. 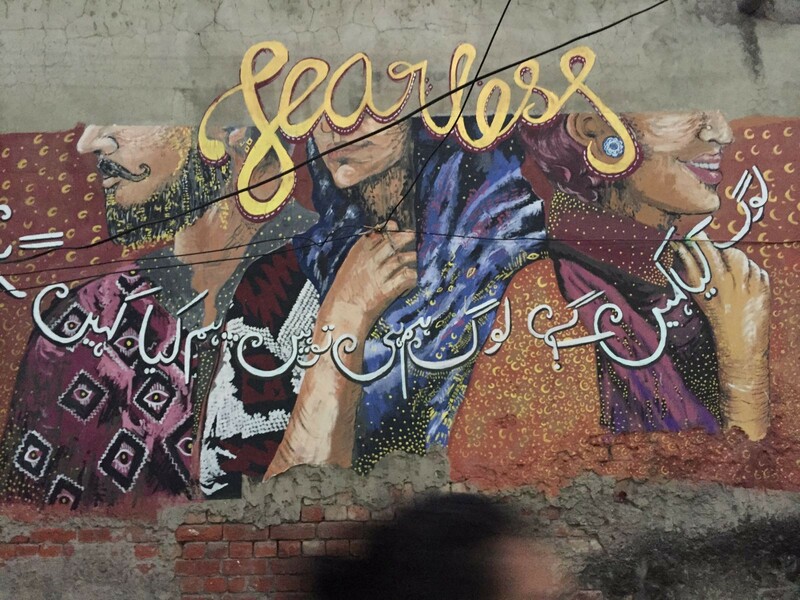 In Lahore, the Fearless Collective gathering artists, activists, filmmakers and researchers has set up its first public art intervention in Anarkali bazaar to challenge society’s fear of judgement by families and friends. 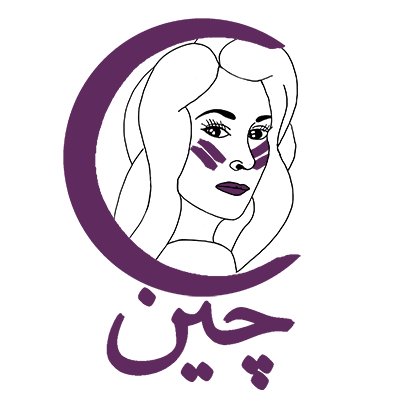 This fear of tarnishing your reputation acting as an unspoken mutual oppression. I watch you. You watch me. So that none of us is free. 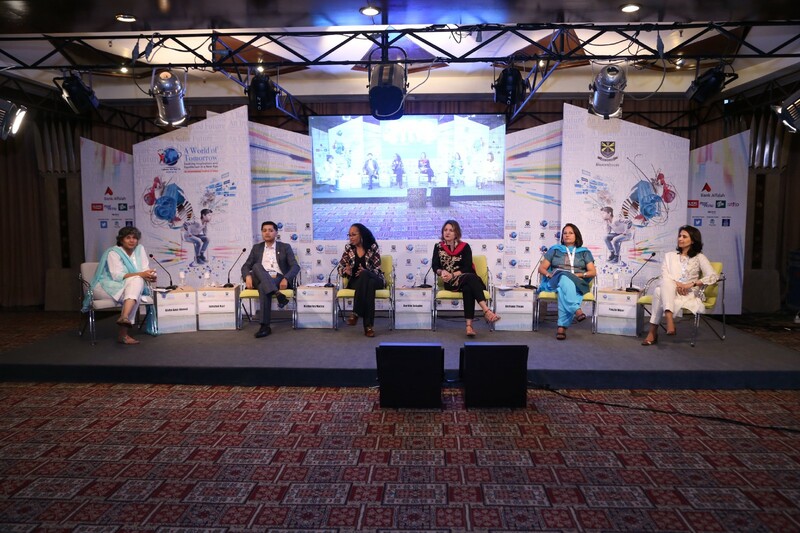 Deeply entrenched stereotypes were the topic of the Moving Towards a Gender-Neutral Society panel we were invited to in the massive School of Tomorrow event this past month of November. 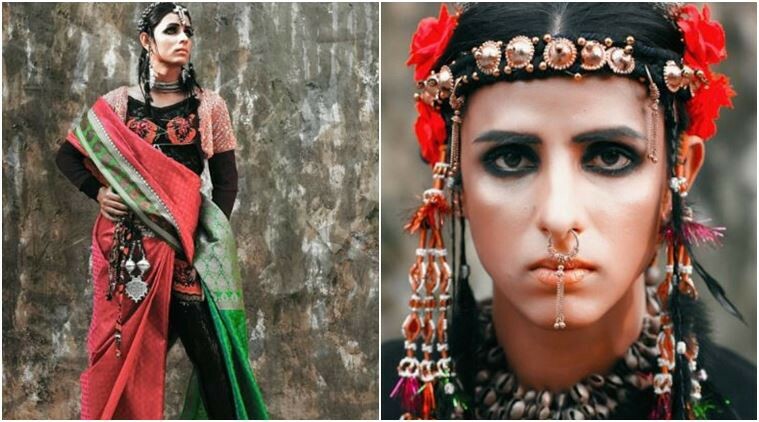 One exceptional example fighting stigma and transphobia is Kami Sid, the first trans model from Pakistan. 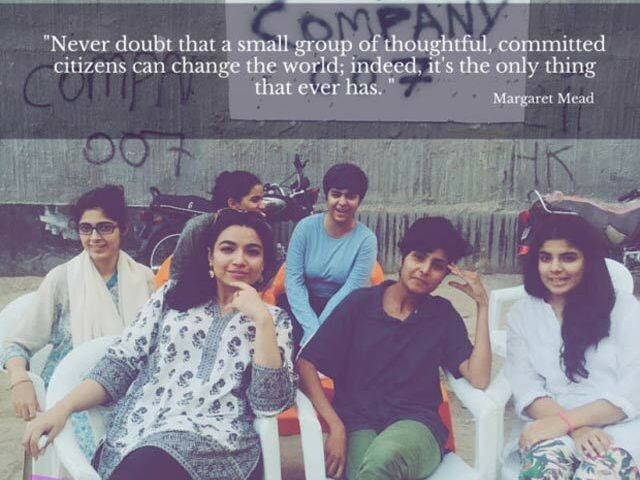 In Karachi, the collective Girls at Dhabas is also reclaiming public space for women in Pakistan. So many dhabas, tea shops or street cafes are exclusively occupied by male and female don’t dare entering them without facing stares or feeling deeply uncomfortable. That’s why the collective organizes nights out where groups of women and girls go out for a tea and publish photos online “occupying the space”. How do women join the workplace, how do families support their professional activity when they constantly face the challenge of being groped and harassed by male rickshaw drivers or public transport users. The recent introduction of CAREEM and UBER has recently revolutionized the field, but only for those who can afford it. In Lahore, the Pink rickshaws also aims at offering safe rides to other women and children. Providing instalments and lease plans developed specifically for women, the initiative also allows women to become owner/operators of their own Pink Rickshaw and generate income for their families. 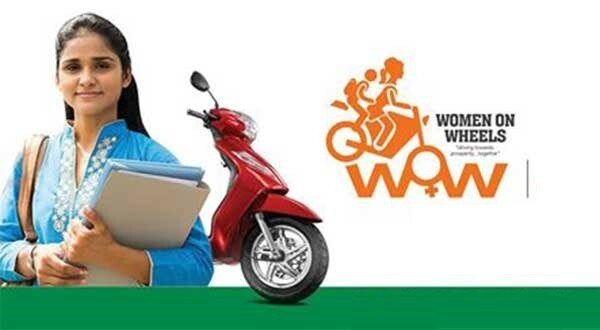 Women on Wheels is also a project from the government of Punjab to encourage women to motorcycle. The training plan was designed to enable the women to acquire the riding skill in a few weeks and culminated in a public rally to encourage female bike riding. 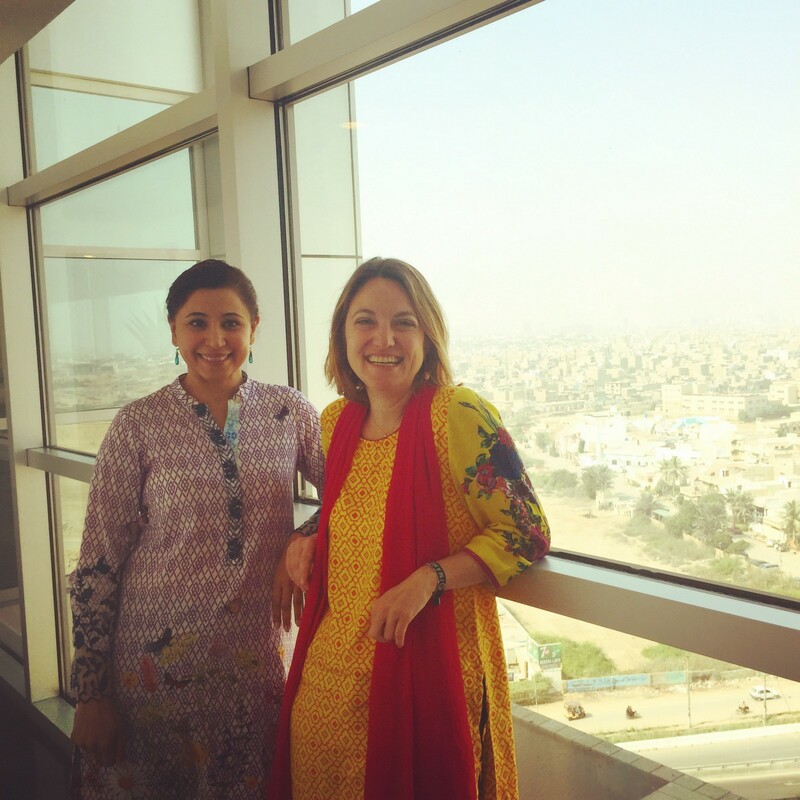 In Karachi, we met the entrepreneurs from the WomenX programme which provides business education and support services to women entrepreneurs running small and medium sized enterprises in Karachi, Lahore and Peshawar. CIRCLE also develops the capacity of professional women and entrepreneurs to exercise leadership in new and courageous ways. 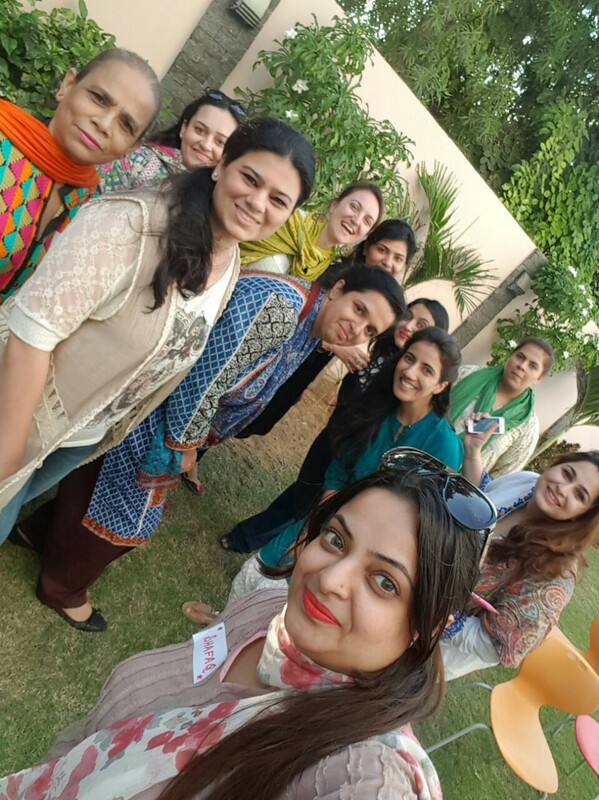 Led by Sadaffe Abid, CIRCLE Pakistan’s mission is to advance women’s economic participation and empowerment through innovative entrepreneurship and leadership labs, advocacy campaigns and research. They also founded the ELEVATE campaign to ensure a better representation of female speakers in conferences and public debates. 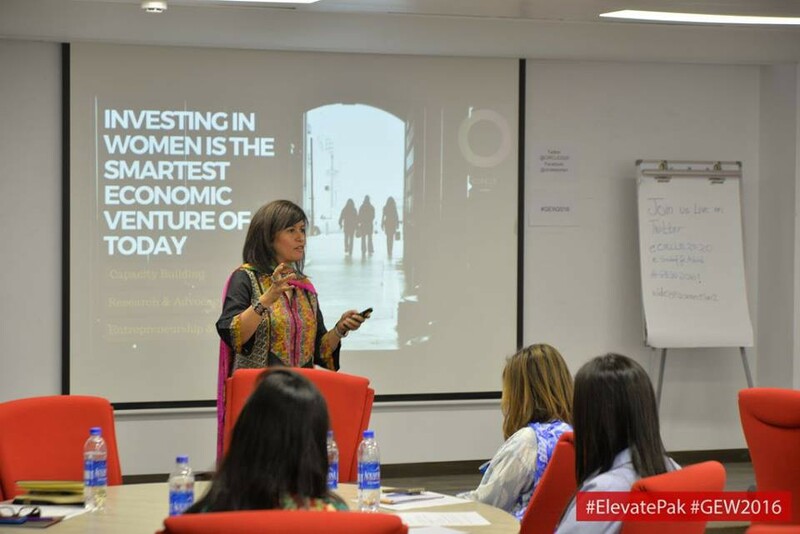 In Lahore, the Herself initiative recently partnered with the program She means business from Facebook to support women entrepreneurs in their business growth. 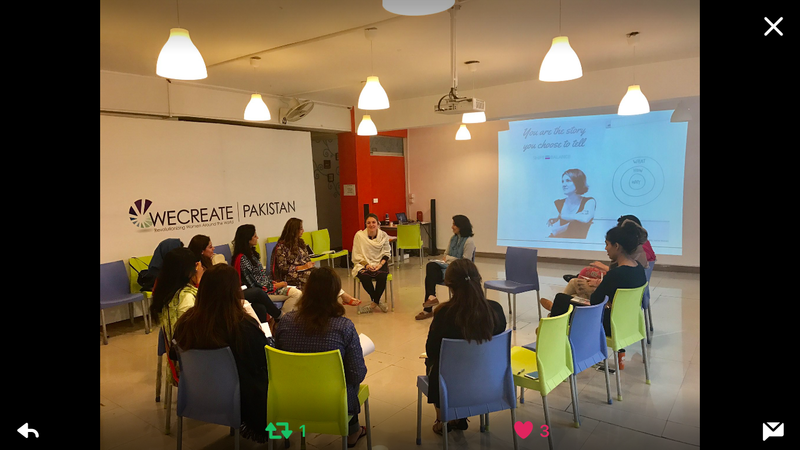 In Islamabad, the We Create Center serves as an entrepreneurial community center for women interested in starting or expanding an existing business. The Center provides mentoring, business connections, specialized training, connections to the community, media attention, access to markets and capital along with the technical tools and resources necessary for taking any business to the next level. That is where we had the opportunity to run a workshop with women entrepreneurs and executives who shared the many stereotypes they face with a mix of shrugged acceptation and resilience. The joy of the family to welcome a boy, the curfew they face, the questions during the job interviews about their upcoming marriage, the harassment in the workplace or in the public transport, the family expecting the next pregnancy more than any promotion. The invisible pressure of others deciding on your behalf, “for your own good”. 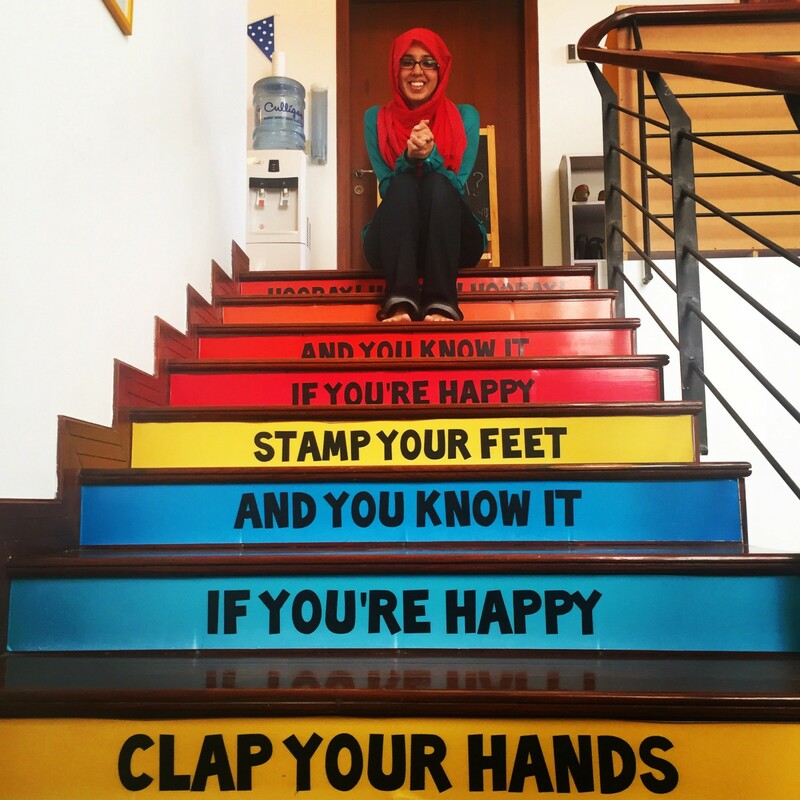 We found out that men and women were craving for a safe space of self expression and that is what the blogger Hiba Masood from Drama Mamas is offering in her Happy Place in Karachi. 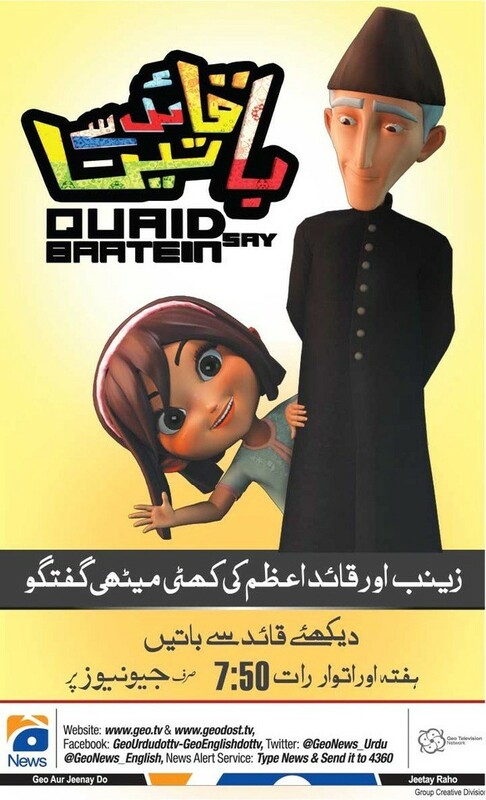 In Lahore, Daniyal Noorani launched Qaid Say Baatein, a three-minute cartoon series to develop a civic sense in kids, but in an entertaining way. 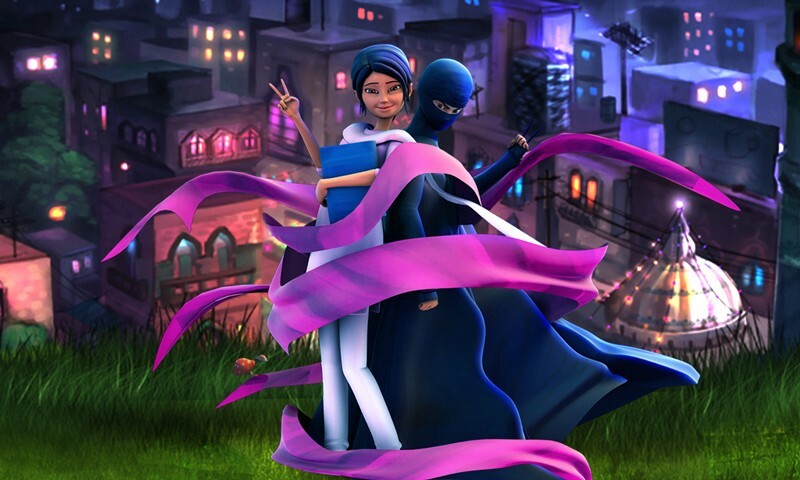 In each episode, the heroine Zainab encounters a different problem, which she then solves by remembering the words and actions of Quaid-e-Azam, the founder of Pakistan. Noorani’s ambition? To make Zainab a local hero for kids just like Dora — the explorer. Four in every five married women in Pakistan have experienced domestic abuse. However, information on Pakistani divorce law, formulating an escape plan, and advice on how to protect yourself is nearly impossible to find. 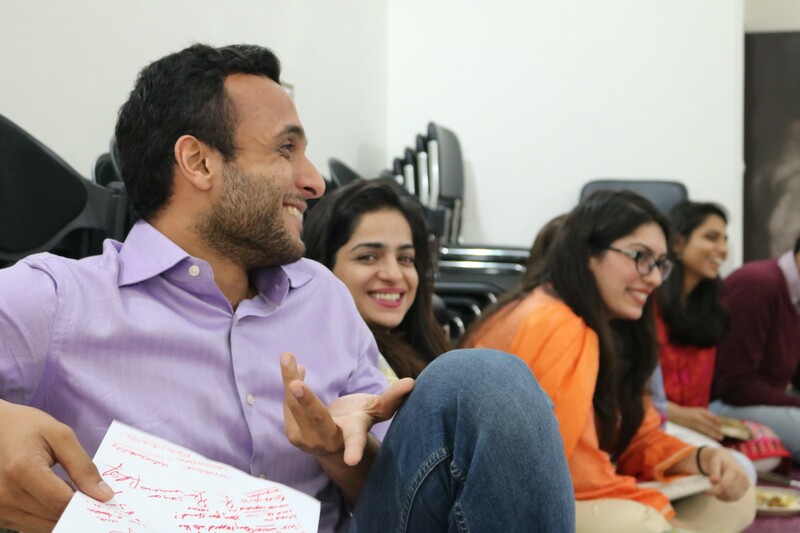 After assisting a friend in removing herself from an abusive marriage, Hera wanted to create a one-stop platform for women experiencing domestic violence in Pakistan — somewhere they can go to seek advice and information about their rights. Seventy global volunteers worked together to crowdsource (with love!) all of the information for the platform, and in May 2013 Chayn Pakistan was launched. The founder, Hera Hussain explains in her TEDx talk how Chayn leverages technology to address the problems women face today in Pakistan and elsewhere. AMMI about to being launched soon plans to use voice messages to share maternal health information to rural women allover the country. Finally, DoctHERS is an initiative which is merging online technology with healthcare, to create a marketplace where female doctors can access patients remotely, especially since 50pc of female doctors never work after graduation. And yet the country is not lacking inspiring female role models. 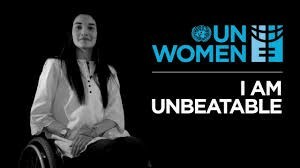 Would it be Aneela Darbar, the first US trained female neurosurgeon of the country or Hajra Khan, the captain of the feminine football team or many more featured in the recent #unbeatable campaign from UN Women Pakistan. But one of the most striking reality is the need expressed by the men themselves to challenge the status quo, questioning the inheritance law in their families or finding innovative ways to recruit and keep female employees in their start-ups. Meanwhile, we are preparing our next visit to the country to engage in many more fruitful conversations! So stay tuned for more updates on our Shiftbalance website and Facebook page!